Play our Retro Tiddly Winks Game! 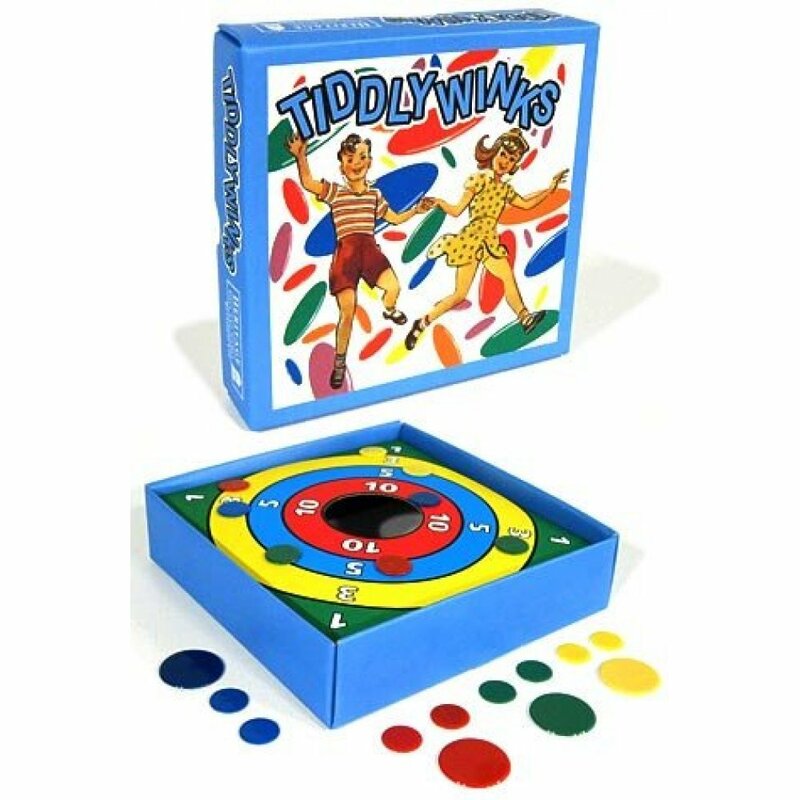 Our brightly colored Tiddly Winks is a reproduction of an English game set from the 1950’s. 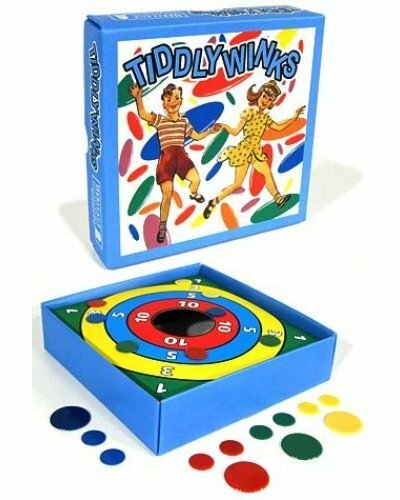 Tiddly Winks has been played continuously by adults and children since it was first produced by the game maker, John Jaques and Son in 1889. Tiddly Winks comes with 4 shooting “Squidgers”, 16 “Winks”, instructions, and a colorful boxed target. 1 to 4 players compete by shooting the winks toward the target by pressing the squidger on the winks. Classic games are still fun to play! 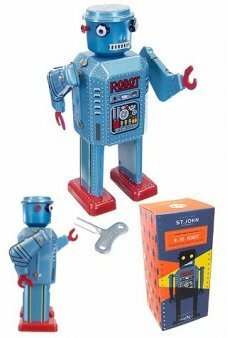 Package: Retro Color Box - "Tiddly Winks"
Boris Blue Robot Junior poses in hundreds of funny ways. He’s a cute and small version of our large .. 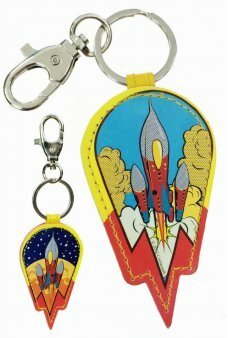 Play the classic game of pick up sticks with our English Pik-A-Stik Set. These sticks include stripe.. 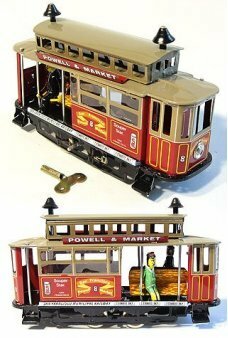 It's the famous San Francisco Powell & Market cable car. 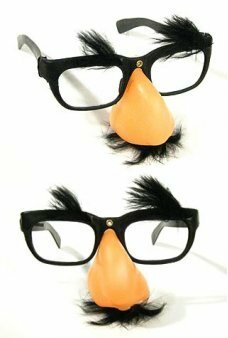 This tan, red, and black wind-up trolle..
Make em laugh with your big nose glasses! This retro silly look was made famous by Groucho Marx with..
Our Slinky Dog is an adorable miniature replica of the original Slinky Dog! Slinky® Dog was born in..